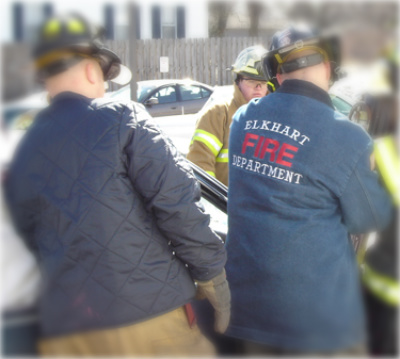 Firemans Chore® Jacket Company is your "One Stop Shop"
Firemans Chore® Jacket Co. Inc. is located in Indianapolis, Indiana offering you the "Original" Denim Choreand Diamond Quilted Job Jackets Made in the USA. 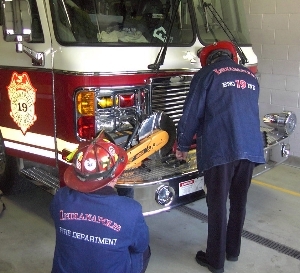 A Firefighter owned and operated company since 2004, we bring you a line of tradional firefighters jackets and workshirts that can't be beat for style and comfort. Our office will be closed from Friday, Oct. 7th through Monday, Oct. 24th. How do I Return or Exchange an item?If you're not completely satisfied with the item you ordered, we will make an exchange or refund your payment as you wish. Send the merchandise back to us in its original condition within 30 days with a copy of your receipt. Sorry, but we cannot accept returns on Jackets with embroidery unless a manufacture defect is present. 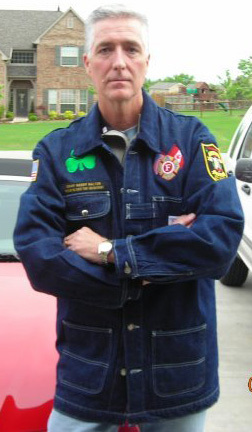 Thank you for making us America's #1 firefighters jacket. "Be American, Buy American, a Truly American Firefighters Jacket"
"We don't offer hundreds of jacket styles like some, only the one's you want!" Our jackets have shipped to 50 states in the USA, Baghdad, Canada, Czech Rebublic, England, Finland, France, Germany, Scotland and Ireland. Take a look at what some of our customers are saying. Copyright © 2004 - 2019 Firemans Chore®, Inc. All rights reserved. Firemans Chore®, the Firemans Chore® logo are registered Trademarks of Firemans Chore Corporation in the United States and other countries. IAFF®, FDNY®, ebay®, and other parties trademarks or service marks are the property of their respective owners and should be treated as such. We will be closed for Spring Break starting Wednesday March 26 thru Monday April 6. No orders will be processed or shipped during this period. If your coming in for FDIC Indianapolis, please stop by our booth 125. We will be closed for Spring Break starting Wednesday March 26 thru Monday April 6. No orders will be processed or shipped during this period. If your coming in for FDIC Indianapolis, please stop by our booth 125. We will be closed for Spring Break starting Wednesday March 26 thru Monday April 6. No orders will be processed or shipped during this period. If your coming in for FDIC Indianapolis, please stop by our booth 125. Folks we have sold out all of our jackets for the holidays. This morning I received a call that my mother had passed away. I am truly sorry for any jackets we did not get shipped in time for Christmas. We are a small family business and family comes first! We will remain closed until after the new year. Thanks for your patients and understanding in this difficult time. God Bless and Merry Christmas.